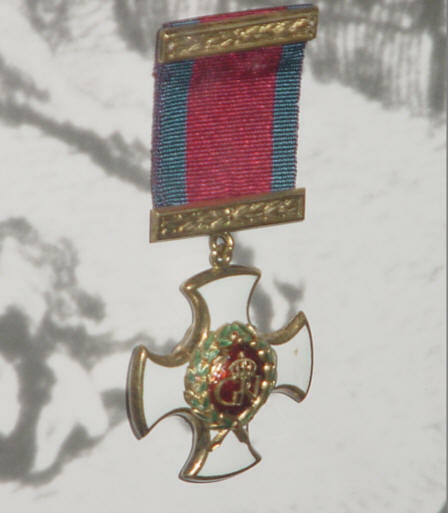 This is one photograph from a collection of photographs of British Military Medals. This is a photograph of the Distinguished Service Order which is a military decoration awarded to reward individual instances of meritorious or distinguished service in war. A military order for officers only, generally given to officers in command, above the rank of Lieutenant-Colonel.